Outsourcing transcription services have become largest resource benefit among health care providers, physicians, hospitals, clinics and out-patient surgical centers. Medical transcription outsourcing is an area of the medical industry that calls for skilled, and qualified individuals with the special skill-set healthcare providers rely on to take their practice to the next level in terms of accurate documentation, and record- keeping. 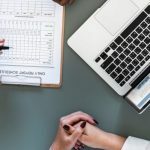 For decades medical facilities and physicians have allowed their employees to provide in-house patient accounting, and note dictation services which often takes away valuable time from the daily operations of running a successful practice. In today’s society, the medical industry is continually increasing in numbers, as more and more people seek medical assistance. As a result of this increase, medical transcription outsourcing services and service providers are always in high demand. When medical staff has to allocate their time to patient’s paperwork, note dictation, office accounting, and filing new patient forms, this lengthy process takes away from valuable time, staff need to spend interacting with patients. This also influences that amount of time doctors get to spend with new patients, seeing that doctors prefer to thoroughly read through a patient’s medical history especially if the patient is there for the first time. Any discrepancies can create a major backsplash for the facility, and oftentimes, set appointment times back by hours. Professional medical transcription providers are trained and skilled in deciphering physician notes and flagging data errors. In short, medical transcriptionists can do a more thorough and professional job than unskilled personnel. Less paperwork for staff equals more productivity time. When adequate time and attention is spent giving direct patient care, the work day goes by quicker and more patients get the quality of time they deserve. When practices operate at full capacity, the workload gets easier for everyone. Staff can manage patients’ check-ins, set appointments and ensure patients are seen in a timely fashion. HIPPA law protects both doctors and patients. It is very important to choose a credible medical transcription company. Not all medical transcription providers are equal. Medical practices need to do research in order to be confidant that they are hiring a medical transcription company with integrity. At Datamatrix Medical, we pride ourselves on our integrity. Most importantly, medical practices only pay for the amount of service they use or need and nothing more. This flexibility allows practices to stay within their budget while getting the services they need. It stands to reason, that the majority of medical practices are using (EHR) electronic health record systems to enhance patient care. Records are sent over an electronic email encryption system. This system protects the privacy of patients, and allow patients’ records to reach their destination within minutes. Medical offices that rely on electronic health records submission systems can depend on the accuracy and proficiency of medical transcription of doctors’ notes. The number of hours doctors spend transcribing notes is tedious, and time- consuming. When this part of the practice is outsourced to skilled professionals, doctors can focus their time and attention on the immediate care and treatment of their patients. If medical practices were to hire additional employees to provide transcription services, this time-consuming task could take away from an already set budget. New equipment would need to be purchased, and new staff members would need to be trained, on how to use both the equipment and the special transcription software. Outsourcing opens the door for shorter billing cycles and less in-house responsibility. Medical personnel no longer need to focus on hiring, firing, training, and problematic workflow issues. Any amount of time medical staff can spend keeping the office afloat is time well spent. Even billing issues can take longer than normal, leaving medical staff frustrated, tired and overworked. Outsourcing transcription services eliminate the hassle. Having a personal medical transcriptionist makes dictating notes simple and less complicated. It is like having a personal assistant in the same room writing down every single word and capturing every small detail. Imagine not having to deal with the stress of interviewing, hiring and training a medical transcriptionist. Virtual services provide medical offices with the freedom to dictate notes any time of the day or night, without time restrictions. Virtual medical transcriptionists work remotely from any location. Medical transcriptionists use state-of-the-art dictation equipment that meets the needs of medical offices, regardless of the size. Medical offices can rest assured knowing that the safekeeping of their patients’ records is in good hands. Not only do medical transcriptionists transcribe notes, and read over files for accuracy, they also perform data entry services. All of these services are completed remotely, on an hourly, daily or weekly basis. Physicians can work with a schedule, which might be easier and less conforming. Convenience is the key to working on any job. Medical doctors and staff members have to be flexible most of the time. However, on days when patients are sitting in the lobby waiting to be seen, and time is of the essence, note dictation might take longer than usual to complete. With outsourced medical transcription services, this task will no longer affect in-office productivity or patient care. Outsourcing provides a convenience that is cheaper, manageable, and customizable. When outsourcing becomes a permanent part of the practice, everyone wins. Patients get seen sooner, and the medical staff is productive. New patient paperwork is submitted on time, and doctors are not stressed with getting patients in and out. The biggest job of a transcriptionist is the accuracy of recording what is said. Paying attention to details require an attentive ear. This is not a job for everyone. The simplest mistake can cost a medical practice to lose to a valuable patient. Furthermore, it can also cause the practice to provide the wrong treatment plan for a patient. Therefore, medical practices should only outsource their services to medical service providers they know and trust. Datamatrix medical transcription services provide all the benefits of comfort, convenience, and trust medical professionals need. Services are available when exams are scheduled in office. Editing patients’ files are a priority, when data entry notes need to be added to medical history files. Outsourcing provides a hassle-free, stress-free working environment.